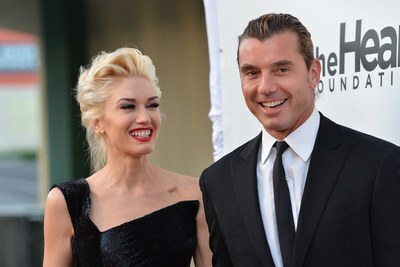 It has been reported that Gwen Stefani and Gavin Rossdale have finally reached a divorce settlement. According to the latest rumors, Gavin will actually not receive an important sum of money from the divorce settlement, which he could have demanding. The settlement is not yet final, as a judge is still to approve it. The fact that the divorce will be finalized soon was first reported by TMZ, which indicated that Gavin will be “walking away from millions of dollars to which he’s legally entitled.” Some sources talking to TMZ claimed that Gavin agreed to a lopsided split of property in favor of his former wife. Furthermore, insiders claimed that the only thing left to do for this case to be closed is for a judge to sign the papers. The settlement agreement is quite interesting, as since Gavin and Gwen did not have a prenup, everyone expected for Gavin to get a lot of money from the legal separation. He would have been entitled to 50% of everything he and Gwen acquired during their marriage. However, some insiders claimed that Gavin was not interested in getting the money. Well, not only that the two reached a settlement when it comes to dividing their assets. They also reached a deal when it comes to the custody of their children. So, the former pair will have joint custody of their three children. Furthermore, it has been revealed that the children will be living with Gavin, mostly because of Gwen’s touring commitments. Despite all this, Gavin has not asked for child support from his former wife. After it has been revealed that the legal separation of Gwen Stefani and Gavin Rossdale is close to be finalized, rumors emerged on Gwen’s possible intentions to marry her current boyfriend, Blake Shelton. Gwen and Blake have been a couple for long and some insiders talking to US Weekly claimed that Blake was ready to ask Gwen to be his wife. “Gwen is everything he wants. With Gwen, Blake has the family life he’d hoped to have with Miranda. Her kids love him as much as she does,” the insider said. It is yet to see if the rumors will turn out to be true.